Place of Interest Around the World. Great Wall of China. One of the place that is in my list to travel. I have been reading about Great Wall of China since I am very young. Sometimes in the books that I read, some of the novels are based in China and the event happens when they build the Great Wall of China. This is one of the 7 wonders in the world. So make sure you have time to visit this place :). What is so great about Great Wall? If you notice, this wall stretch along mountain, desserts, grassland. Its a very long wall. (4163 miles or 6700 km). One of the reason for the old dynasty to have the wall is to prevent attacks from other countries. Anyway you can use Yahoo to find out more information about this great wall :). 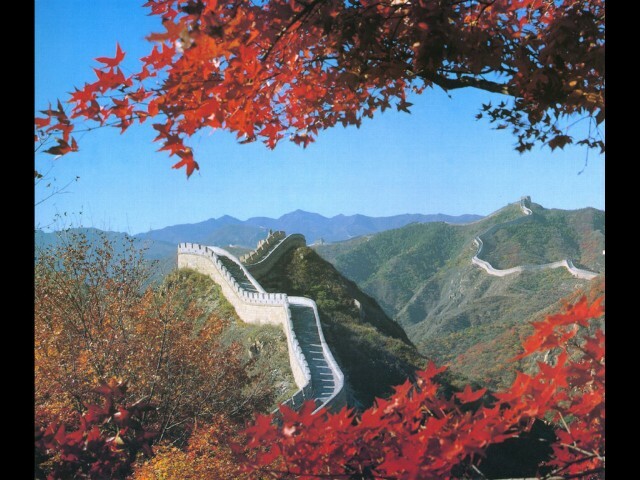 Happen that I am being forwarded with some nice picture of Great Wall in China scenery during different seasons. Normal person that likes IT stuff, gadgets, software. I like to travel too.